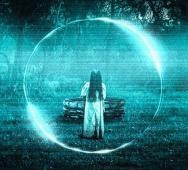 Check out this video about things you may not know about The Ring (2002). Screen Crush created this “did you know” video featuring director Gore Verbinski‘s The Ring which is a remake of director Hideo Nakata‘s Ringu (1998). This video seems like a bonus feature from the Blu-ray that was never released. 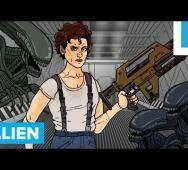 Watch this video that quickly runs through the entire Alien franchise in under 3 minutes. For those of you looking to reminisce or those of you who are curious, this video from Mashable does a terrific job laying out the necessary pieces. Tell us what you think, did this video miss anything it should have included? 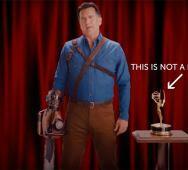 Bruce Campbell is hilarious and has started an entertaining campaign to get an Emmy Award Nomination for his work as Ash in Starz’s Ash vs Evil Dead Season 1. It is being called the make “Emmy’s groovy again” campaign with billboards around intersections, online social media, and digital advertising pushes meaning one thing, Campbell and Starz are 100% serious about getting that Emmy. Robert Kirkman and Cinemax’s Outcast Episode 2 titled “(I Remember) When She Used to Love Me” airs tonight at 10:00 pm EST on Cinemax. Here are three new photos and four preview videos for the new episode from the demon focused TV series. 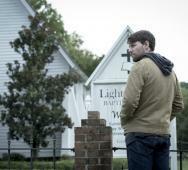 Wrenn Schmidt, Patrick Fugit, and Philip Glenister star in Cinemax’s Outcast Season 1. 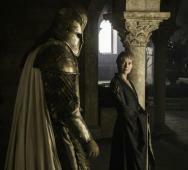 Here are five new photos and a preview promo video for the upcoming new episode of HBO’s Game of Thrones Episode 608 titled “No One.” We get to see a little something in this preview video from most of the main characters. Freeform’s Dead of Summer Season 1 premieres this upcoming Tuesday, June 28, 2016. Here are some new photos and promo videos. Watch as terror descends on these kids at their summer camp. Elizabeth Mitchell, Elizabeth Lail, and Zelda Williams star in Dead of Summer. Those who survived the Culebra (vampires) from Season 2 will return in El Rey’s From Dusk Till Dawn Season 3. 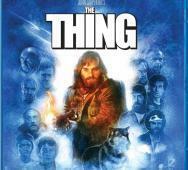 Miramax and the El Rey Network revealed their new cast additions and the directors lineup. Full details below from the official press release. Here are over 20 photos and preview videos for the upcoming Penny Dreadful Episode 307 titled “Ebb Tide.” Showtime’s Penny Dreadful Season 3 is well into the season now so expect things to escalate quicker from here on. The new episode of AMC’s Preacher Season 1 premieres this Sunday, June 12, 2016. Here are two new photos and preview videos for AMC’s Preacher 103 episode titled “The Possibilities.” So far, I think the consensus is that Preacher and cast Dominic Cooper, Joseph Gilgun, and Ruth Negga are doing a great job. There is no plot description released for this episode yet. Here are some of the cutest cosplay you will ever see. 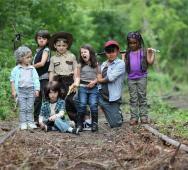 These cosplay photos of kids cosplaying The Walking Dead characters is wonderfully fun. The photographer from Mother Hubbard Photography took 24 children under the age of seven and dressed them up like The Walking Dead characters and even recreated some of the TV shows most popular scenes. 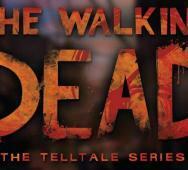 The characters cosplayed include Rick Grimes, Abraham, Carol, Maggie, Glenn, Sasha, Carl, many zombies, and Negan with Lucille (baseball bat of doom). This series of photos is a fun play on pop culture, and some may disagree, but these pictures were taken with good intentions. This trailer for the frightening Turkish horror film called The Boogeyman 3: Black Magic (2016), aka Uc Harfliler 3: Kara Buyu (2016), looks amazing! 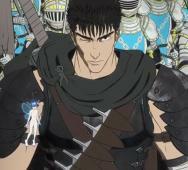 The story revolves around a young girl, black magic, and incredibly creepy demons that are after the girl. 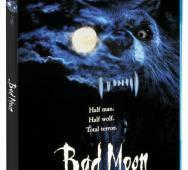 Some of the Turkish horror films coming out lately take terror to a new level and this movie is no exception. 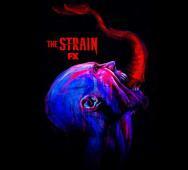 FX’s The Strain Season 3 premieres this upcoming August 28, 2016. This new promo video teases what is to come as the story picks up “23 days since the nightmare began.” I loved The Strain books and I am wondering how close to those storylines this season will stay with these fantastic scary vampires. 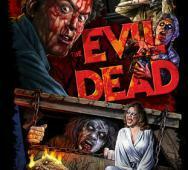 Fright Rags revealed their latest design to celebrate the upcoming 35th anniversary of The Evil Dead. The Evil Dead collection includes six new T-shirts, a baseball tee, socks, and a poster. T-shirts are priced at $27.00, baseball tee at $37.00, socks at $12.00, and the poster at $10.00. Merchandise starts selling on Wednesday, June 8th at 10:00 am EST on Fright Rags’ website. 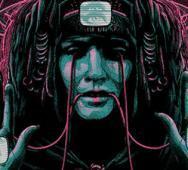 Artwork comes from Justin Osbourn, Christopher Franchi, Coki Greenway, Christopher Lovell, Scarecrowoven, and Joe Guy Allard.